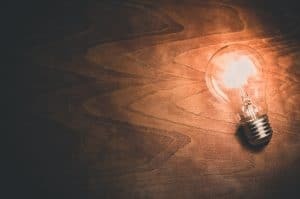 It may surprise many homeowners, but even after installing an expensive new solar roof, water heater, or air conditioner, your home may still seem to use a ton of power each month. Rather than look to what you can have installed, you may want to look at ways to save energy. The solution isn’t always purchasing the latest fixtures or features. In fact, many people who learn how to save energy often only change their habits! Below are some suggestions to help you decrease your power needs, as well as save you more on your utilities. By making just a few simple adjustments, you’ll be amazed at how much energy you’re saving! Just by walking through each room of your home, chances are you’ll find at least some things using power. While you can’t shut everything off, you can at least cut back on ambient power waste. Things like hair dryers, cell phones and tablets, laptop computers, and desk fans are continually using power, even if they aren’t switched on. However, as long as they remain plugged into an outlet, power is still running through them. By merely unplugging items that aren’t currently in use, you can cut down on the amount of energy waste. Another method is purchasing timers for outlets, especially for rooms that don’t receive a lot of traffic. Bedrooms are notorious for energy waste, as we all have things we just leave plugged in. If you are making plans to leave town for a few days, consider unplugging items like your televisions while you’re gone. Growing up, was your dad continually telling you to turn lights off? Or did he ever insist that you keep the thermostat at a higher or lower temperature? There is a lot of truth to dad’s advice. Air cooling and heating require a lot of power, and lighting left on is just wasteful. Unfortunately, leaving lights on is an easy mistake to make. But by remaining vigilant, you can cut your energy use. Alternatively, newer thermostats are programmable, allowing you to keep the temperature adjusted more easily. Some models are even accessible through your smartphone, allowing you to regulate the temperature while you’re at work. Did you know that most of your higher-power consumption occurs from your plumbing fixtures and appliances? Your kitchens, laundry rooms, and even your garage may be the culprit! If you can, purchasing newer, energy-saving appliances whenever possible. Running your clothes washer and dishwasher on quicker settings will also help reduce energy costs. Some people swear by three-hour wash cycles, especially in the kitchen. However, many models have an “energy saving” setting which could get used instead. Finally, any time that you need to use hot water, your water heater springs to life. While heat is necessary for sanitation, it is essential to monitor its use. Newer water heaters are more efficient than older models. If you’re out of fresh ideas on how to decrease energy use, you may need to consider the water heater! If you are having flashbacks of childhood and being yelled at for leaving the door open, it’s OK. You now probably realize your parents were right! Keeping the doors and windows open while operating the air system is a massive waste of power. Not only is your heating and cooling system sending controlled air outdoors, but it’s also becoming overworked. In fact, running the air conditioner with the windows open is a great way to cause it to freeze up, or even break down. 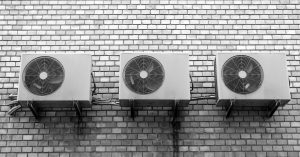 Even if you keep your home closed up, you may still have controlled air escaping. By installing new weather stripping, strike plates, and double paned glass windows, you can prevent more air from leaking out. That means your home will remain more comfortable for longer, and you’re running your thermostat less throughout the day. That’s a huge win-win, and one that the planet will appreciate! Most stuffy rooms don’t require more cooled or heated air. In fact, usually just having the air circulate is all it takes to make an area more comfortable. Rather than running your air system more, having your ceiling fans operate takes less power. And if you have rooms that stay chilly, you may just need to reverse the direction they spin. On the ceiling fan base, you’ll find a switch that will reverse which way the blades turn. Usually, it creates a more cooling draft when it spins one way, but warmer when it rotates the other direction. 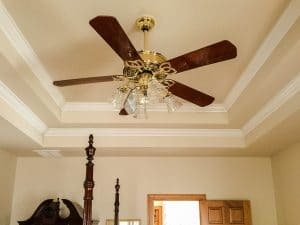 Even if you already leave your home warmer throughout the day, ceiling fans can make your home more comfortable. By relying on less energy consuming appliances, you can cut power use and costs. Newer light bulbs use LEDs to provide light. These more modern bulbs are far more energy efficient over traditional bulb types. 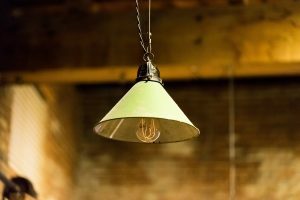 Newer bulbs burn brighter, use less energy, and often can go for months, or even years, before needing to be replaced. While these may cost a little extra upfront, they’ll save you money in the long run. Just be sure that you carefully read the package. Installing the wrong bulb size or type into a light fixture may create problems. It may even start a small electrical fire! When buying a new appliance, look for products that are Energy Star Certified. Those options are guaranteed to use less power over units that do not have these stickers. The Energy Star is a part of the Environmental Protection Agency as well as the Department of Energy. By purchasing these appliances, you know you’re choosing the best models for reducing power needs. For even more tips to fight energy use, keep an eye out for more articles by Homes for Heroes. We want to make as many houses energy efficient as possible so you can save as much money as possible on that monthly bill!